Baby might not be able to hold that sword just yet, but one day you know he'll be cutting down Frost Giants. 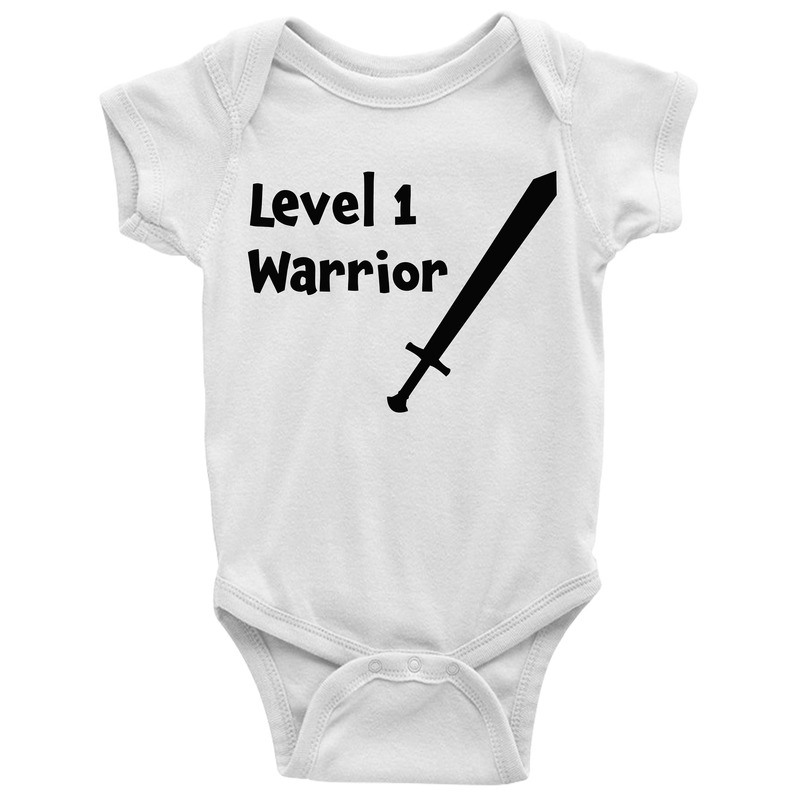 For now get a custom ONESIE to show your level 1 warrior some support. Every little role playing class ONESIE is made from 100% soft cotton. We hand press each gaming design carefully onto the fabric and wrap each one individually. 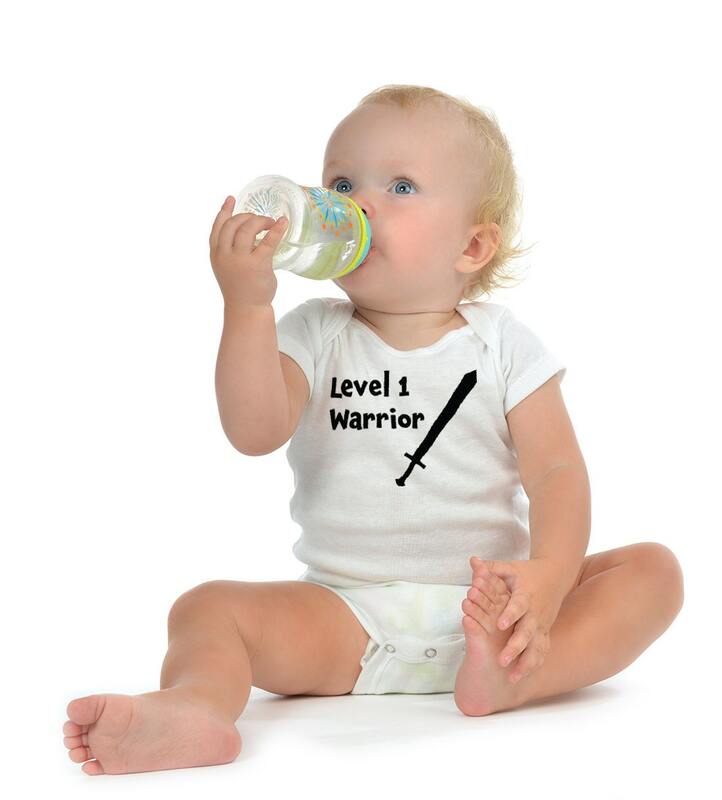 Great for little warrior boys and girls. 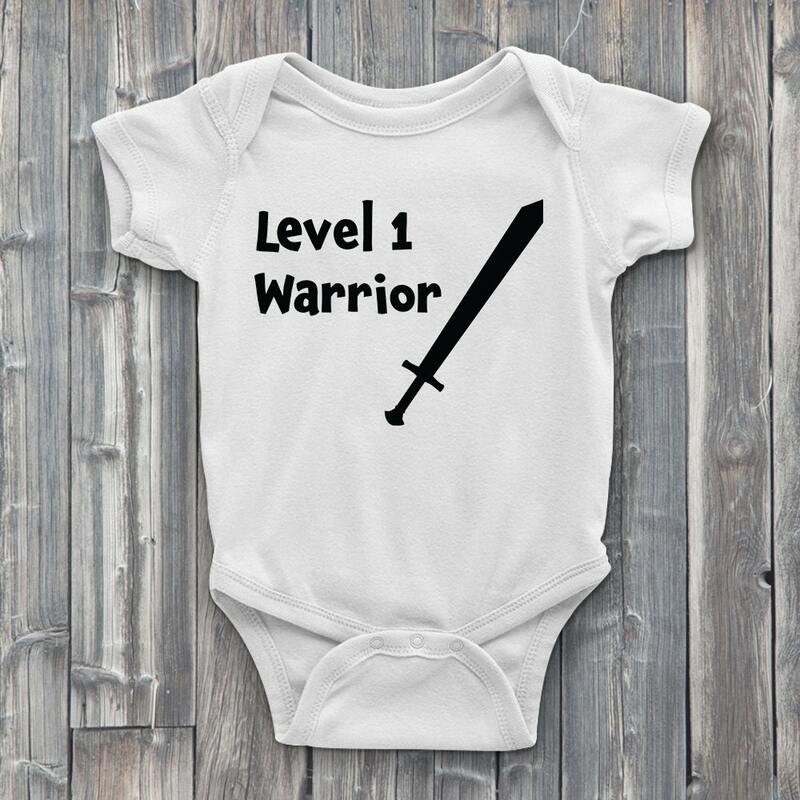 Available in many fantastic warrior baby sizes.